In the third quarter ended September 30, net sales at Amazon rose 29%, to $32.7 billion, and net income rose 219%, to $252 million. Because Wall Street analysts had expected a higher profit--more in the range of $378 million--in after-market trading Amazon stock fell about 5%, to $777.50 a share. The Wall Street Journal noted that profit wasn't as high as expected because "shipping costs surged and the e-commerce company pumped revenue gains back into product development and operations." Operating expenses were $32.1 billion, up 29%. Shipping costs rose 43%, to $3.9 billion, reflecting Amazon's decision to build its own shipping business "to add more delivery capacity for the holidays, with the grander ambition of one day hauling and delivering packages for itself, other retailers and consumers." Reuters observed that while the company has turned a profit for the past year and a half because of its fast-growing, highly profitable cloud storage services, Amazon opened 18 warehouses in the third quarter and another five in the first few weeks of October, and its workforce grew 38% in the third quarter, costs that concern analysts. At the same time, Reuters wrote, "the company has nearly doubled its spending on the creation and marketing of movies and TV shows in the second half of 2016. Amazon's hope is that people will sign up for its Prime service to watch these videos--and in turn buy more goods from Amazon to make the $99-per-year subscription worth it." As usual in recent years, Amazon's multipage announcement about its quarterly results and accomplishments barely mentioned books, which were the only thing it sold when founded 20 years ago. The company noted the introduction of Prime Reads, "a benefit for Prime members to enjoy unlimited, free reading from a rotating selection of over a thousand books, magazines, comics, and more." The company predicted that sales in the fourth quarter will grow in a range of 17%-27% to between $42 billion and $45.5 billion. At its annual gala Wednesday in New York City, Goddard Riverside Community Center unveiled plans for the Stephan Russo Book Prize, which will honor an outstanding work in the area of social justice and be given for the first time in 2017. The award is named for Stephan Russo, Goddard Riverside's outgoing executive director, who has worked at the organization for nearly 40 years. "This prize celebrates the power of the written word to create change in the name of justice for all people; a value shared by the publishing community and Goddard Riverside Community Center," said Josh Marwell, president of sales at HarperCollins. New York's publishing community and Goddard Riverside have worked closely for three decades, ever since publishers first held a book fair at the community center in 1987 to fight homelessness. Publishers and booksellers currently sit on Goddard Riverside's board, and the industry continues to organize an annual book fair and other fundraising events. "The creation of this prize started, quite appropriately, with a conversation about a book--a great book Stephan was reading that he found so extraordinary he wanted us to read it too," Marwell observed. "That book is Evicted, written by Matthew Desmond, published by our colleagues at Crown Publishing Group. 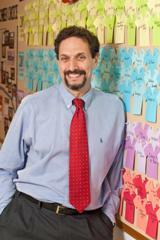 Like many others, Stephan was inspired by Mr. Desmond's work on the impact of poverty on human life in our country. This wonderful book exemplifies the kind of book we will honor with the prize in the coming years." 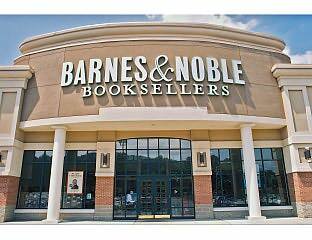 Barnes & Noble will close its store located at the North Village Shopping Center in North Brunswick, N.J., by the end of the year, N/S Sentinel News reported. "We had several discussions with the property owner in an attempt to arrange acceptable terms for a lease extension, but unfortunately we could not reach agreement," said David Deason, v-p of development for B&N. "We have enjoyed serving our customers there and we look forward to continuing to serve them at the nearby East Brunswick, Menlo Park Mall and Somerville stores." "Reading to dogs? Dogs in bookshops? Scandinavian delights? Buy a book and feed an author?" All this and more will be offered tomorrow during New Zealand Bookshop Day, which has the slogan "Your Place, Your Bookshop." Approximately 170 bookshops, "from Whangarei to Invercargill, are celebrating their vibrancy and uniqueness, as well as the vital role that bookshops play in our communities," Booksellers NZ reported. "Bookshops are the spine of our community, offering places of discovery, delight, refuge and relaxation. Bookshops mean the world to book lovers, and to New Zealand authors--they are places of escape, treasure and serendipity," said Booksellers NZ CEO Lincoln Gould. 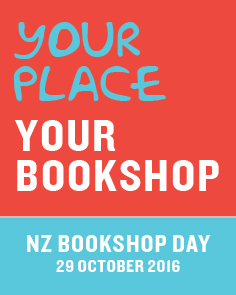 "Kiwi booksellers have very much got in behind this year's NZ Bookshop Day. Their imagination knows no bounds and we know that readers and booklovers will hugely support the events at their local bookshops." Events planned nationwide include children reading to dogs at Paper Plus in Wanaka and customers at Time Out Bookstore in Auckland getting their dog's picture taken for the #dogsatTimeOut hashtag. Dunedin's University Bookshop has a "Buy a Book and Feed an Author" promotion through which "book buyers can take some of the chocolate kisses on the counter, and 'feed' one of the authors who will be writing at the table in the middle of the shop." Gould said, "Not only was last year's Bookshop Day a huge success and this year's event will be even better, but also the book trade has confidence in its place in New Zealand life. This year several brand new bookshops have been established, and a good number have changed hands. These new owners are confident the trade is in good heart and bookselling is a viable business." The International Publishers Association general assembly voted to admit five new national publishing organizations, increasing the IPA's membership to 64 publishers associations in 59 countries, serving more than 5.5 billion people, the Bookseller reported. The Union of Iraqi Publishers, Ivorian Publishers Association, Mauritanian Union for Publishing & Distribution, Union of Moroccan Publishers, and Senegalese Publishers Association were admitted as provisional members in a meeting at last week's Frankfurt Book Fair, following a "unanimous" decision by the general assembly. In other IPA news, Dutch publisher Michiel Kolman was formally elected to succeed Richard Charkin as president of the IPA when Charkin steps down January 1 at the end of his two-year term. Vroman's in Pasadena, Calif., presented an evening with chef/author Mario Batali, whose Big American Cookbook was just published by Grand Central Life & Style. In conversation with former Los Angeles Times food editor and columnist Russ Parsons, Batali spoke about his life, his career and his food. The event took place at the Pasadena Presbyterian Church. 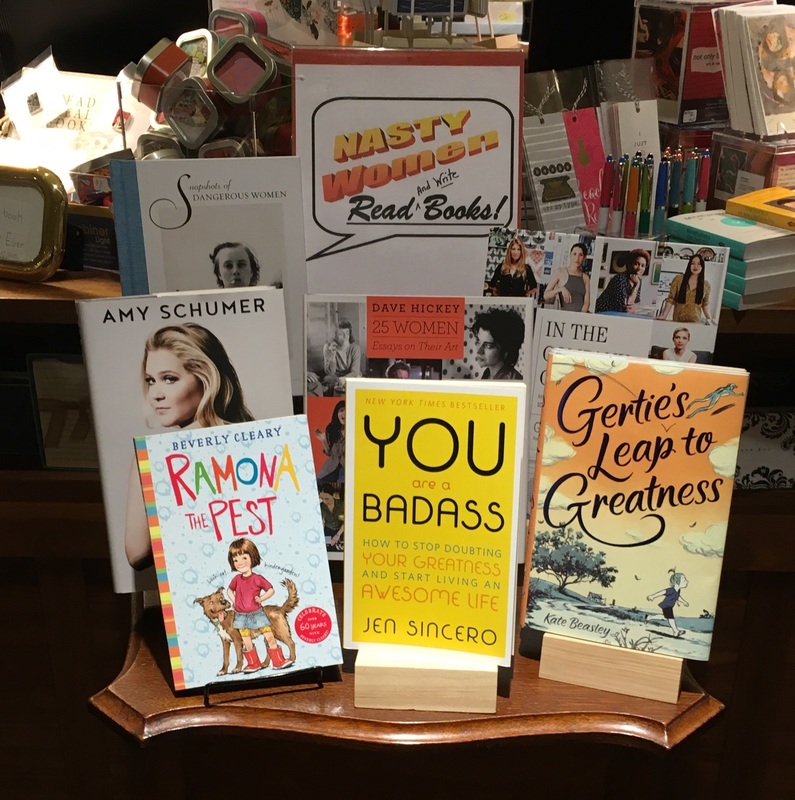 Queen Anne Book Company in Seattle, Wash., shared this picture of the store's Nasty Women display, conceived and executed by Wendee Wieking, with suggested titles from many. 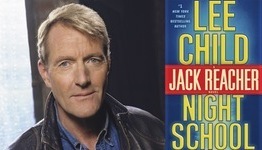 To honor Lee Child and his many ardent fans, almost a quarter of whom are active members of the military or veterans, Random House is holding an event called Night School with Lee Child on Veterans Day, November 11, in Durham, N.C., in connection with North Carolina Comicon. Flyleaf Books in Chapel Hill is the official bookseller for the event. The main event--a conversation between Child and Entertainment Weekly's Tina Jordan, during which the author will discuss his creative process, his novels and the movie adaptations starring Tom Cruise--will take place from 7:30 to 11 p.m. at the Carolina Theatre of Durham. Admission is $30, and includes a copy of the new Jack Reacher novel, Night School, which will be published November 7 by Delacorte Press. For $60, guests receive a signed copy of Night School and, after the Carolina Theatre discussion, can attend an after-party at nearby Bull McCabe's, where they can meet Child and have photographs taken with him, as well as enjoy an open bar and free food, take part in interactive activities and win fall book giveaways. In honor of Veterans Day, Random House has partnered with USO of NC. For every ticket sold to Night School with Lee Child, Random House will donate a Lee Child book to a service member overseas. Random House is also offering a pre-event meet-and-greet with Child for local Ft. Bragg service members who purchase tickets to the event. Known for: A beautifully curated selection of titles, a tiny bar and a cafe with indoor and outdoor seating. 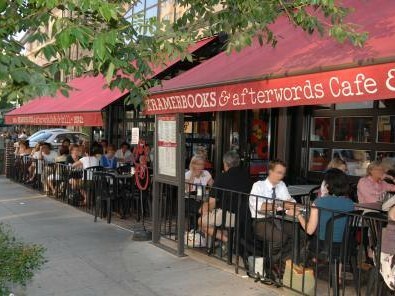 Vibe: Kramerbooks was hopping on a Saturday afternoon, but 17 hours later, the mood among patio diners was Sunday-morning appropriate. Patrons used their indoor voices, murmuring about the glories of summer mornings in the District of Columbia before temperatures started to climb. Conclusion: What's not to like? In this trailer forTaylor Swift: This Is Our Song by Tyler Conroy (Simon & Schuster), the author of this fan-generated book, along with other fans at a Swift concert in Austin, Tex., sing an original song to celebrate Swift's first 10 years as an artist. CBS This Morning: Jeff Kinney, author of Double Down: Diary of a Wimpy Kid #11 (Amulet Books, $13.95, 9781419723445). CBS Sunday Morning: Alexandra Horowitz, author of Being a Dog: Following the Dog Into a World of Smell (Scribner, $27, 9781476795997). Also on CBS Sunday Morning: Nicholas Dodman, author of Pets on the Couch: Neurotic Dogs, Compulsive Cats, Anxious Birds, and the New Science of Animal Psychiatry (Atria, $26, 9781476749020). Emmy-winning actor Jim Parsons (The Big Bang Theory) is producing "a drama series project about eight top scientists conducting a grand experiment involving the future of humanity," Deadline reported. The Terranauts, based on the novel by T.C. Boyle, has been set up at the CW network and will be written by Zach Helm. The project comes from WBTV and Parsons & Todd Spiewak's studio-based That's Wonderful Productions. Helm, Parsons and Spiewak will executive produce, with Eric Norsoph, head of development & production for That's Wonderful, overseeing the project for the company. Paramount Pictures has hired Kurt Wimmer (Salt) to adapt Ted Bell's espionage novel series based on British MI6 agent Sir Alexander Hawke. Deadline reported that Lorenzo di Bonaventura is producing the series, which "began in 2003 with Hawke, and has spanned nine bestsellers. The most recent, Patriot, pitted Hawke against Russian leader Vladimir Putin, who has been a frequent nemesis in the series." The next book, Overkill, will be published in 2018 by Morrow. American poet, children's book author and translator Marilyn Nelson won the $25,000 NSK Neustadt Prize for Children's Literature, presented by World Literature Today biennially "to a living writer or illustrator with significant achievement in children's or young-adult literature." Nelson "is one of America's most powerful literary voices," prize organizers noted, adding that the University of Connecticut professor emeritus has written or translated more than a dozen works and has been recognized with the Newbery Honor, Coretta Scott King Honor, the Pushcart Prize and more. She is also a three-time finalist for the National Book Award. "Marilyn Nelson is an important author who has used her works to advocate for race relations and women's empowerment," said Robert Con Davis-Undiano, WLT's executive director, who oversees the prize. "Her engaging, lyrical style builds awareness around sensitive issues through human, and even humorous, storytelling that both children and adults can relate to." 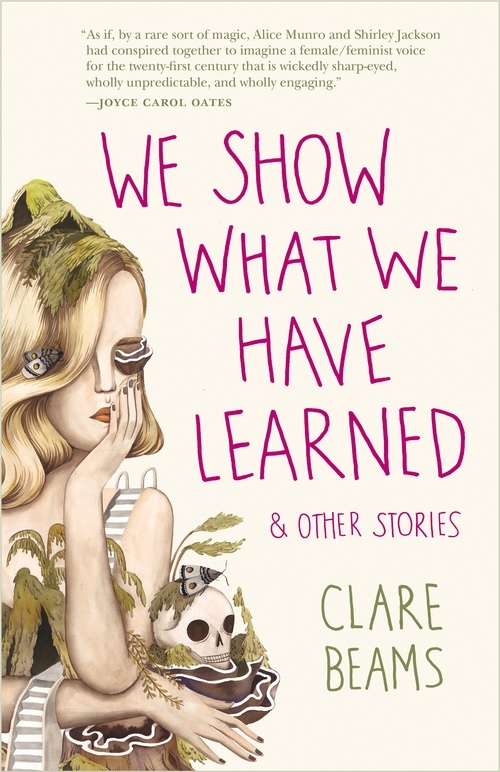 Clare Beams is the author of the story collection We Show What We Have Learned (Lookout Books, October 25, 2016). Her stories appear or are forthcoming in One Story, Electric Literature's Recommended Reading, Ecotone, the Common, the Kenyon Review online, Hayden's Ferry Review and The Best American Nonrequired Reading, and have received special mention in The Best American Short Stories 2013 and The Pushcart Prize XXXV. She is the recipient of awards from the National Endowment for the Arts and the Bread Loaf Writers' Conference, and she blogs for Ploughshares. 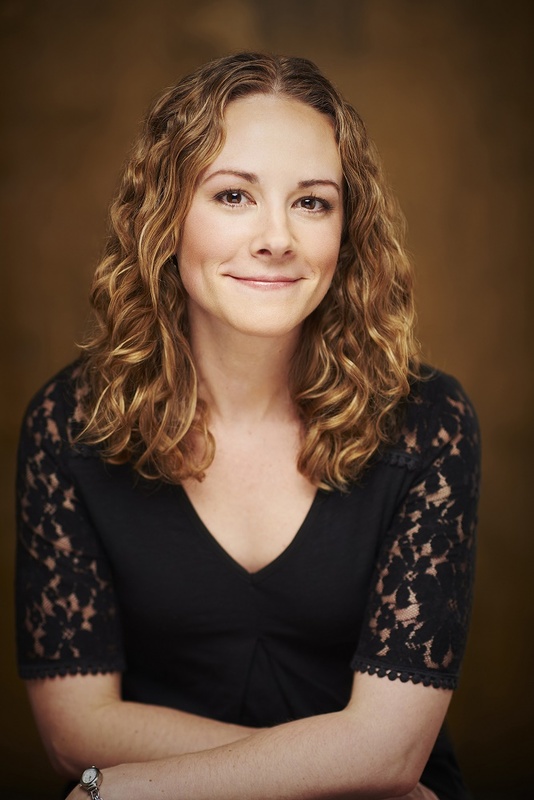 After teaching high school English for six years in Falmouth, Mass., she moved with her husband and daughter to Pittsburgh, Pa., where she teaches creative writing at Saint Vincent College and the Pittsburgh Center for the Arts. My nightstand is always piled with things I'm reading, re-reading, meaning to read and reading to my three-year-old daughter. Also like 17 glasses of water, because I'm better at carrying a new one up each night than I am at ever carrying them back down again. Braving the chaos right now are Kirstin Valdez Quade's Night at the Fiestas, Mavis Gallant's Paris Stories, Bonny Becker's A Visitor for Bear, Thom Wiley's One Sheep, Blue Sheep, Kate Bernheimer's anthology My Mother She Killed Me, My Father He Ate Me, John Matteson's Eden's Outcasts (research for the novel I'm revising) and Donna Tartt's The Secret History. Little Women by Louisa May Alcott. I loved those sisters like I knew them, and the book's ruminations about the differences in their characters were irresistible to me--I couldn't get enough of thinking about which one I was most like. So I'll preface this by saying that I thought seriously for a while about going to get a Ph.D. in English Literature, and my personal pantheon slants in a not-so-contemporary direction. My top five ever-ever, the ones who've mattered to me over many years: Shakespeare, for that feeling that your brain and heart are actually expanding while you follow one clause into the next. Alice Munro, for incredible richness and lushness of character, and stories that feel like whole lives. Kelly Link, for opening up a new kind of magical possibility. Edith Wharton, for rendering a world that's (mostly) gone, and for writing so terrifyingly about female entrapment. Virginia Woolf, who just seems impossible. There was a period of years where I'd nod and smile when The Odyssey came up, like I knew what people were talking about, even though I'd never read it. Then the universe punished me, because the book ended up being part of the curriculum at the school where I taught ninth grade English for six years, so I've now read The Odyssey I have no idea how many times. I could probably recite parts of it, bard-like. Two I have to mention here: first, Penelope Fitzgerald's The Blue Flower. To me this book does what fiction set in the past should do: it makes the past just as immediate, weird and full of life as the present. And second, Edith Pearlman's Binocular Vision. 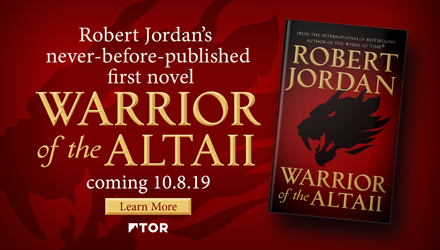 This was actually the first book my publisher, Lookout Books, put out--my love of it was one of my initial reasons for wanting so much to work with them--and they've been masterful evangelists for it and don't need me at all. But this is such a deep and funny and odd and moving story collection, full of people who are real to me, and I can't help it. Chris Adrian's The Children's Hospital. The cover has an official-looking building bobbing on waves. It made me feel like the book would take me floating away on some strange sea--which turned out to be accurate. My parents were actually pretty amazing about my reading whatever I wanted to read when I was a kid--which meant I stumbled across plenty of things I didn't understand, but which also made for an amazing sense of freedom in this one area of my life, at least. I did realize when I read John Irving's The World According to Garp when I was maybe 12 that I had questions of a kind I wouldn't be asking my parents. I feel like every book I love changes my life a little. But the biggest game-changers were probably the books that made me a reader in the first place--the first books I really fell all the way inside as a kid. Roald Dahl's Matilda, C.S. Lewis's The Chronicles of Narnia, Zilpha Keatley Snyder's The Egypt Game, many books by Lois Lowry. These books made me love books, and without that love my life would be very different. This is hard, and I think I'd say something different depending on what day you asked me, but here's today's answer, from Muriel Spark's The Prime of Miss Jean Brodie: "Give me a girl at an impressionable age, and she is mine for life." Gives me both good and bad chills. Probably Virginia Woolf's Mrs. Dalloway. That book was such a revelation to me in the way it captures the movement of a mind on the page. I love re-reading it, too, but I would love to live through that first encounter again. 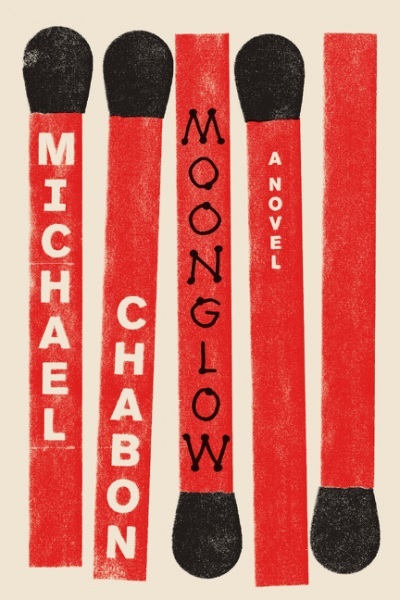 In Moonglow, Pulitzer Prize-winning novelist Michael Chabon (The Amazing Adventures of Kavalier & Clay) takes a beguiling journey along the ever-shifting boundary between truth and fiction in the family stories passed down--or concealed--from one generation to the next. So many incidents are stuffed into Chabon's novel that it defies easy plot summary. In brief, it's the episodic account of the narrator conversing for 10 days with his dying maternal grandfather, the latter sharing "ninety percent of everything he told me about his life." To describe that life--which included tracking down the document cache of Nazi (and postwar United States) rocket scientist Wernher von Braun and a two-year jail term for assaulting his boss, who fired him to hire accused Soviet spy Alger Hiss in 1957--as colorful is an understatement. Whether he was hunting pythons in a Florida swamp or building model space vehicles for NASA, this irascible but never dull man and his stories reveal a picaresque life lived on his own terms. But the novel isn't merely the tale of the unnamed grandfather's wartime exploits and some dubious postwar life choices. It's also the sensitive account of the narrator's maternal grandmother's escape from occupied France as a pregnant teenager, and her lifelong battle with mental illness likely induced by that trauma. Moonglow ultimately succeeds in blending these two narratives because Chabon is so adept at pure storytelling. As much as any writer working today, he marries a facility with language to a gift for immersing the reader in worlds such as the Nazis' slave labor camp at the site where they produced the V-2 rocket or New York's Wallkill Correctional Facility. Shelf Talker: Michael Chabon's eighth novel is the picaresque story of an ordinary man's extraordinary life. Begin with Neil Gaiman: "Books are the way the dead communicate with us." I read this sentence recently in his prose collection The View from the Cheap Seats. That moment was, strangely enough, bookended by a visit yesterday to the autumn gardens at Yaddo, the legendary--and purportedly haunted--artists retreat in Saratoga Springs N.Y.; and, in early October, to The Stanley hotel in Estes Park, Colo., a ghostly locale that inspired Stephen King to write The Shining and has been hosting Twin Terror Weekends, including a RedRum Mystery Dinner. If that's not a prelude to Halloween, I don't know what is. Yaddo isn't far from my house. If you were here today, we could take a "Ghosts in the Yaddo Garden Tour," during which you'd "experience the Spirits of the Gardens. Feel the energy and creativity of the forces of the Earth. Share in the spiritual intrigue from Native Americans, Edgar Allan Poe, the Trask family and other contemporary visitors!" In 2014, author Peggy Riley wrote of her time there: "Yaddo is imbued with ghosts: ghosts of four children who didn't survive to inherit a mansion; ghosts of artists who have lived and worked there; ghosts of artists still living and working, who last worked in the chair you sit in, who stared at the walls as hard as you. They are all still there, at Yaddo, haunting the rooms, living in the pages of the books they leave behind, the Yaddo library filled with Yaddo writers: Sylvia Plath, Ted Hughes, Katherine Anne Porter, Carson McCullers, Truman Capote, Flannery O'Connor, etc. etc...."
72%: Share of parents who say they steal Halloween candy from their kids. Listen to Shirley Jackson Read Her Spooky Story "The Lottery"
I'm also intrigued by the many and varied ways indie booksellers get into the spirits of the season. Nantucket Bookworks, Nantucket, Mass. : "It's getting spooky over at Bookworks! Trick or Treat with candy, hats, trinkets, witch tights, tattoo sleeves, masks, & MORE! Pick up a scary book to read this October while you are at it." Green Apple Books, San Francisco, Calif.: "Spooky staff picks!... 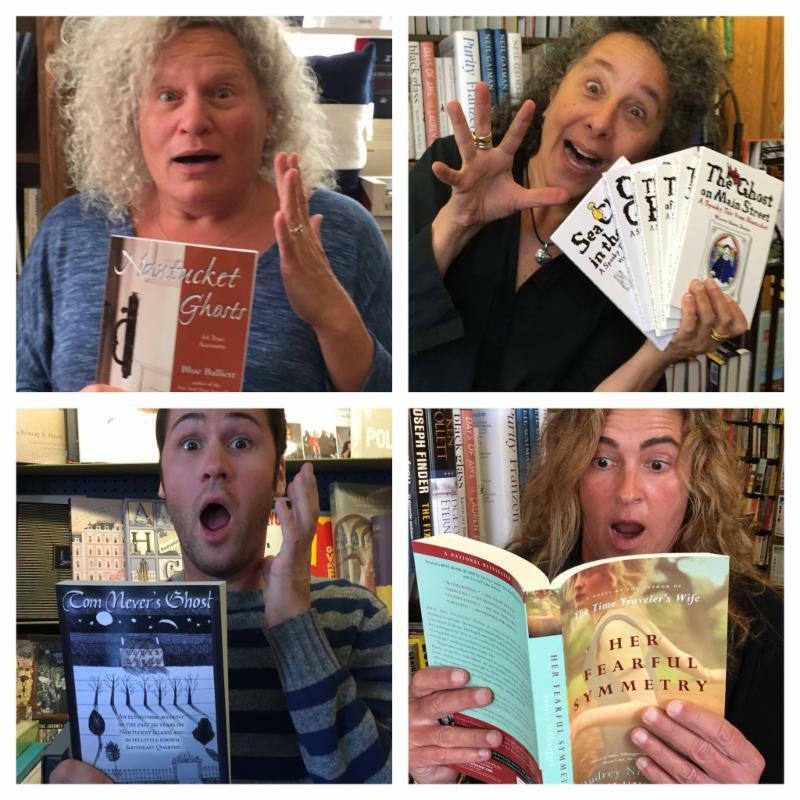 Keep reading to discover which scary books keep our staff up at night!" Tubby & Coo's Mid-City Book Shop, New Orleans, La., e-newsletter: "The bookstore hosts two Halloween costume parties. Saturday's party caters to adults with games, adult trick-or-treating and Are You Afraid of the Dark-style stories; a child-friendly party Sunday has readings from Goosebumps, trick-or-treating and a costume contest." Andover Bookstore, Andover, Mass. (e-newsletter): "Kids Halloween Party! On Saturday, October 29th at 2 p.m. we will be having a Halloween costume party! We'll read Halloween themed picture books, decorate Trick-or-Treat bags, have a costume parade around Andover Village Square, and more! It will be fun for all ages. The party is completely free and open to all!" The Spiral Bookcase, Philadelphia, Pa.: "WITCH WEEK is going strong!" The Last Bookstore, Los Angeles, Calif., "has been celebrating Halloween all month, with an array of events that seek to put a little fear or quirkiness in your life. That continues this week." Brookline Booksmith, Brookline, Mass. (e-newsletter): "I don't know how many folks out there still do handmade Halloween costumes, but between my efforts on behalf of my two kids, and the intrepid seamstresses-and-sters among the Booksmith staff, I know of at least a dozen pairs of hands that have been pricked by pins and needles this week. So, while we won't build your costume for you, we do have a ton of fun and frightful books and accessories for Halloween, courtesy of our kids' booksellers and the Giftsmith. Come in and check it all out, quick, before a zombie eats your brain!" Halloween, it seems, has crept up on me this year after all, despite my best efforts to keep it at bay. I'm like one of those nice families that decide to stay in their new home even after the walls start to bleed and a disembodied voice screams, "Get out!" It was my brother's idea to visit the grand old Stanley hotel a couple of weeks ago. I learned that in 1974, Stephen King and his wife spent a night there as the only guests one day before it closed for the winter. "Wandering through its corridors, I thought that it seemed the perfect--maybe the archetypical--setting for a ghost story," he recalled. 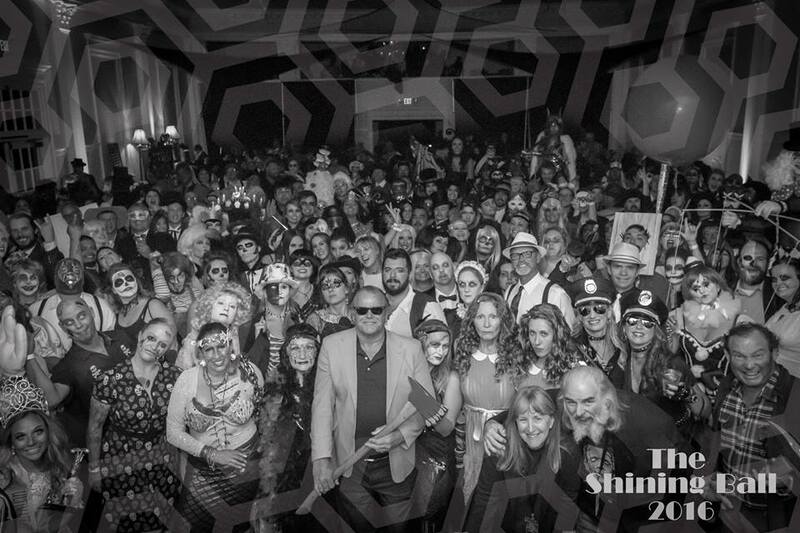 Disappointed with Stanley Kubrick's film version of The Shining, King became the force behind a late 1990s TV miniseries, which was filmed at the Stanley. But it is Kubrick's terrifying image of the terminally blocked writer and his only reader, horrified by what she encounters on the page, that haunts me still. If these words don't scare you, nothing ever will: "All work and no play makes Jack a dull boy." Happy bookish Halloween... if you dare.